While Mass Effect Andromeda won't see his return, Commander Shepard still has one more adventure in him! ​A fan project driven by a passion for classic point and click adventure games and more importantly the Mass Effect series; The Adventures of Commander Shepard is a fan-fiction “demake” and love letter to both. 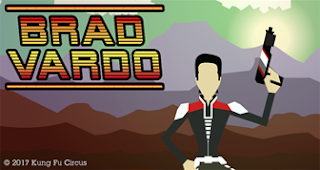 Driven by our intense love for Mass Effect and our inability to let it go after Mass Effect 3 (as also evident in our website Mass Effect Indoctrination), this project first began as an animated satire but soon grew into a full point and click adventure game. There is so much about Mass Effect that lends itself perfectly to the classic point and click genre, and we felt that trying to bring in some of the old LucasArts humour while poking fun at some of the tropes of the modern RPG was something that really helped blend the two together in a fun way that made our little fan-fiction “demake” the perfect homage to both. We hope you enjoy playing through this passion project as much as we enjoyed creating it. MASS EFFECT © 2003-2017 EA International (Studio and Publishing) Ltd. Mass Effect, all character likenesses and respective content is the copyright property of EA International (Studio and Publishing) Ltd.
To our families & friends for their love and support! To the creators of all the great point and click adventure game that inspired us! To Bioware and EA for creating one of the greatest video games franchises of all time! If you enjoy this game, please check out our upcoming science fiction point and click adventure series!